that works ok when I need it. So, what is the configuration in Tools>Options>Tag Sources for the cover filename? OK., I have working action for import, but I have thousends of pictures as you advice above: Format String: %album%_%_cover_type%.jpg. 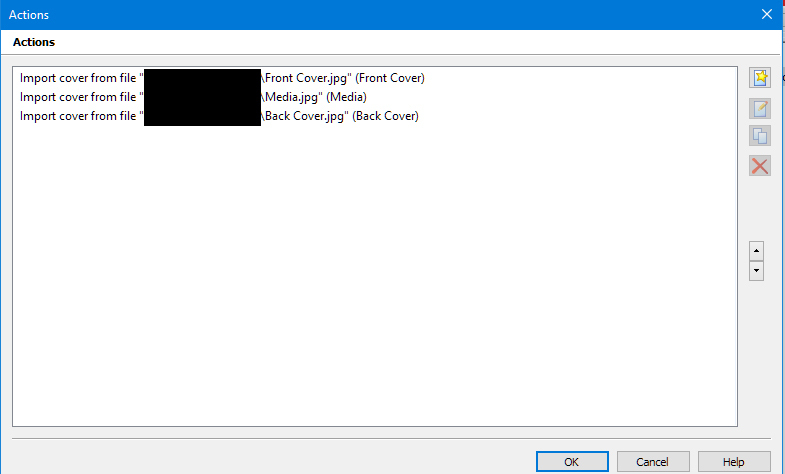 If I separate pics I can use for specific mp3 (in new folder) and cut the name to _cover_type%.jpg, my action is working. 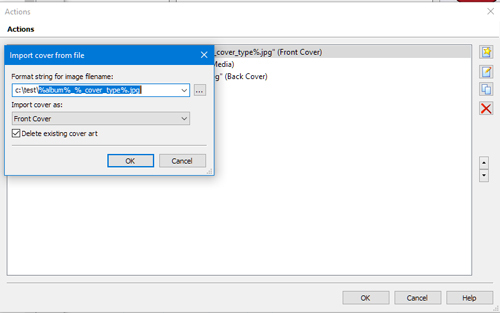 But, what shall I do to use Import Cover Action based on full %album%_%_cover_type%.jpg (variables) without cutting, changing names or seperate for any mp3 file in several folders? Working but is not reliable. Nevermind, I have now collection of changed Covers to baseline type, so I don't need copy-paste. folder of course, as default. If you import a cover MP3Tag does not know anything about the tag-variable %_cover_type%. This is only valid for the export of the embedded covers. Could you find out which file leads to this export? I suspect that the image is corrupt and that there is no mime type available for that embedded image. It is ordinary JPG, Pic is not missing, is presented properly in mp3TAG, so, if I change the name to name.jpg in Win Explorer, the thumbnail returns and file is usable e.g. in Photoshop. Big Thanx! It's working! Big Thanx! BTW., do I understand correctly, if I write %album%_Front Cover.jpg only, without rest of track (as e.g. C:\Folder\%album%_Front Cover.jpg) it will import the pictures from the folder, where selected mp3 file exists? Yes, the import uses the folder of the current (audio) file unless you specify something else. That finally finish my problem. Can I ask you more question, can I add a keyboard shortcut for my action? Thank you. You did great job for me.